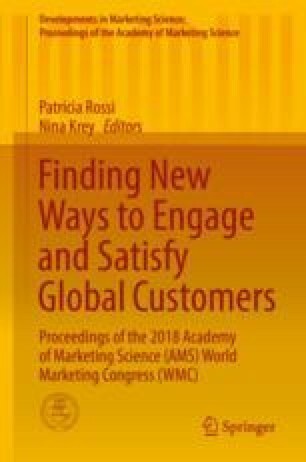 There is a strong case as to why marketing practitioners and academics should be interested in bottom of the pyramid (BoP) consumers, and renewed attempts should be made to better understand them (Beninger and Robson 2015). While this market is lucrative (the BoP’s combined consumer spending power is estimated at more than $5 trillion (Subrahmanyan and Gomez-Arias 2008)), the sheer size, heterogeneity and ethnographic differences intrinsic to this market make standardized marketing approaches impractical. This segment is also very different from other market segments, not only in terms of their disposable income but also in terms of consumer purchasing decisions and the influencers of their purchase behaviour. At the heart of this contemporary marketing, quandary is the question of value. What value do BoP markets offer big businesses, and in return, how can these firms create value for these market segments? Research has argued that the billions of BoP consumers will elude big business until these questions are answered (Dawar and Chattopadhyay 2002; London, Anupindi and Sheth 2010). Singh (2015) acknowledges that the extant understanding of BoP consumers pales in comparison to the sheer amount of literature examining various components of non-BoP consumer behaviour. It is suggested that this differential is in part due to the challenges that researchers face in conducting research in BoP markets. This research thus seeks to determine how existing research methodologies should be adapted to suit the constraints faced in BoP markets. Using an unconventional approach, which examined the first-hand experiences of 18 researchers through in-depth interviews, this article identifies the constraints faced by those attempting to research the largely misunderstood BoP markets. The thematic analysis identified eight first-order themes, which were further categorised into two second-order themes, namely, theoretical and practical research considerations. The eight first-order themes relate to the research approach, the measurement instrument, the evaluation of abstract concepts, social desirability concerns, language and literacy, the collection of sensitive information, physical location concerns and trust issues. Researching the researcher is novel in that it utilizes an existing methodology in a new context, allowing for insights to be gleaned from constraints faced throughout data collection amongst BoP consumers, providing recommendations to impact best practice research within this field.